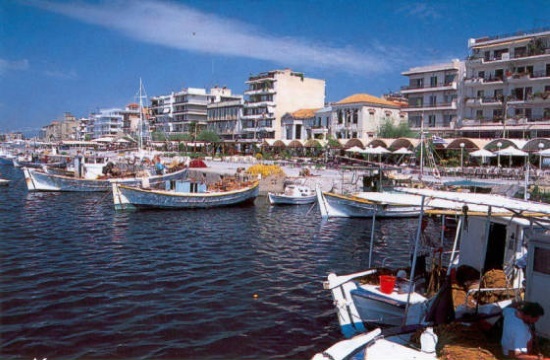 A new PPP road project has been added in Greece's relevant list: the road axis Kalamata-Rizomilos-Pylos-Methoni in Southwestern Peloponnese, ypodomes.com reports. The project was greenlighted by the Inter-Ministerial Commission for PPPs, chaired by the Deputy PM and Minister of Economy and Development, Mr. Giannis Dragasakis with the participation of the Minister of Finance, Mr. Efklidis Tsakalotos, the Minister of Environment and Energy, Mr. Giorgos Stathakis, the Minister of Infrastructure and Transport, Mr. Christos Spiritsis, the Minister of Interior, Mr. Alexis Charitsis, and the Minister of Education, Mr. Kostas Gavroglou as wel as the General Secretaries of the Ministry of Infrastructure and Transport, Mr. George Dedes, the Ministry of Education, Mr. Ilias Georgantas and, of course, the Special Secretary for Public Private Partnerships, Mr. Nikolaos Mantzoufas. The important project is expexted to improve the existing infrastructure and upgrade road security in Southwestern Peloponnese, while it will also contribute to the tourist promotion of the area by combining existing and planned new transport infrastructure, ensuring both fast and safe travel. In addition, the implementation of this project will result in a reduction of transport costs with a consequent increase in the competitiveness of the primary and secondary sectors of the region's economy. The repayment of the project will be made with availability payments during operation.